*Based on data collected on 15/04/19 for the total cost of sending AUD$ 200 from Australia to Vanuatu. Estimated saving is based on the difference between the least/most expensive listed operator (that fully discloses FX rates) and is calculated on a AUD$ 200 transfer sent once a month for 12 months, at the same cost as those collected on 15/04/19. *Based on data collected on 15/04/19 for the total cost of sending AUD$ 200 from Australia to Tonga. Estimated saving is based on the difference between the least/most expensive listed operator (that fully discloses FX rates) and is calculated on a AUD$ 200 transfer sent once a month for 12 months, at the same cost as those collected on 15/04/19. *Based on data collected on 15/04/19 for the total cost of sending AUD$ 500 from Australia to Vanuatu. Estimated saving is based on the difference between the least/most expensive listed operator (that fully discloses FX rates) and is calculated on a AUD$ 500 transfer sent once a month for 12 months, at the same cost as those collected on 15/04/19. *Based on data collected on 15/04/19 for the total cost of sending AUD$ 200 from Australia to Fiji. Estimated saving is based on the difference between the least/most expensive listed operator (that fully discloses FX rates) and is calculated on a AUD$ 200 transfer sent once a month for 12 months, at the same cost as those collected on 15/04/19. *Based on data collected on 15/04/19 for the total cost of sending NZD$ 200 from New Zealand to Samoa. Estimated saving is based on the difference between the least/most expensive listed operator (that fully discloses FX rates) and is calculated on a NZD$ 200 transfer sent once a month for 12 months, at the same cost as those collected on 15/04/19. SendMoneyPacific is an Australian and New Zealand Government funded website that compares the fees and exchange rates for money transfers to the Pacific Islands* – it does not handle money transfers and we have no invested interest in the money transfer companies listed. We simply provide free information so you can get the best deal on your international money transfer costs. 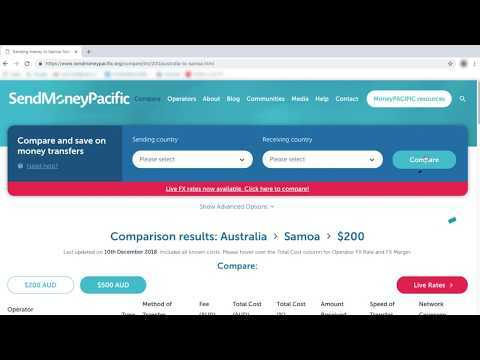 SendMoneyPacific can let you know the true cost of sending your money overseas and let you know the cheapest and most efficient ways to do it. Use SendMoneyPacific to compare costs for money transfers to Fiji, Kiribati, Papua New Guinea, Samoa, Solomon Islands, Tonga, Tuvalu or Vanuatu and ensure you are getting the best rates. SendMoneyPacific is supported by the Australian and New Zealand governments. No need to call or check several websites to compare costs. Comparing costs of money transfers can save you money. The savings you make can mean more money back home to your family and friends. SendMoneyPacific has helped me to choose the best provider and save money whenever I send money back to my family in Tonga. Every time I send money to Fiji, I check the SendMoney Pacific website to look at the rates. This helps me with my choice of provider. Thank you for providing this vital info. SendMoneyPacific is an invaluable resource for Pacific Islanders, their families living overseas and others who support them through cash donations. 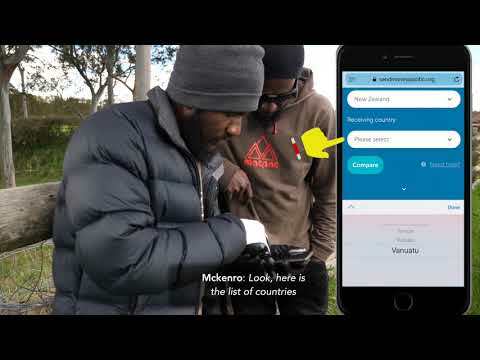 Sending money to this region has always been challenging and costly but SendMoneyPacific addresses this through the provision of accurate and comprehensive information, aimed at providing the best value for money experience for senders and receivers. I am a fan of the website, not just for its information on money transfers but also for news and community pages highlighting the goings on in the Pacific and immigrant communities all over the world. Well done Send Money Pacific! I used to think my usual money transfer place was ok, until someone showed me your website – I had no idea these other cheaper options existed! Now whenever we send money home to the islands we check the rates and use the cheapest one available, which means our family back home get most of the money and not the middle man. Thank you SendMoneyPacific! SendMoneyPacific is a valuable resource for our Pacific communities because remittances are the major financial lifeline of our families and communities. I think it’s a great service and always check the SendMoneyPacific website to see which company offers the best rates. I now see that there are much cheaper rates offered than I have been paying, which will help me save money. And that means my father and aunt in Fiji will receive more money. SendMoneyPacific: have you done your research?